Saturday, April 13, 2019 ~ 10:30 a.m.
Friday, April 12, 2019 ~ 5:00 – 8:00 p.m. In care of the family for future designation. Richard A. 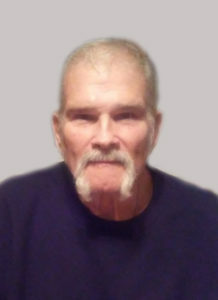 “Rich” Miller, 67 of Ashland passed away Sunday, April 7, 2019 at the Ashland Care Center in Ashland. He was born on February 14, 1952 in Omaha NE to Arlen and Marie (Klein) Miller. He attended St. John’s Grade School and graduated from Omaha Technical High School. Rich was united in marriage to Teri Styskal On August 25, 1989 at the United Methodist church in Ashland, NE. He lived in Omaha from 1952 – 1989, before moving to Ashland. Rich was employed as a truck driver with Morehouse Trucking, Yankee Hill Brick and Tile Trucking and U-Mix. Rich really enjoyed spending time with family and friends, traveling to visit and sightseeing in other states. Fishing and hunting were always a fun time for him as well. His real passion was his 89’ Chevy pickup, and through this adventure, he made many friends at car shows and that is what he cherished. One of his best accomplishments was organizing and running the ROC Car Show for the youth Center for 10 years. Rich is survived by his wife Teri of Ashland; children Michelle (Greg) Cook and Tyson Miller of Omaha; Richard (April) Styskal of Lincoln; and Mary (Dale) Burkard of Le Mars, IA; grandchildren, Zach Cook, Emma (Dustin) Pritchett, Olivia McQuillan; Faith (Tomas) Rodriquez great-grandchildren, Kaden Pritchett, Dante, Lilliana and Aleena Rodriquez; brothers, Paul (Lana) Miller, Bill (Dolly) Miller, Tom (Sheri) Miller, Jim (Vicki) Miller and Ron (Nadia) Miller. He was preceded in death by parents, Arlen and Marie Miller; grandparents; aunts and uncles. Rich will be missed. Such an easy going person with a sparkle in his eye. God Bless you Rich. My sympathies and condolences to the family. Teri and Family – Blessings on his memories and I bet that you have a lot of them. Rich was a special man. So very sorry to hear of this. Rich was a wonderful person. He will be missed by many. Teri, we’re so sorry for your loss. Our thoughts and prayers are with you. Oh Teri…..I am aching for you. God be with you my dear sweet friend!!! I love you. He was a very active person and will be missed by many. We will miss seeing him at his many activities. Our prayers and thoughts are with you his family because although he will be happy with God you will still miss his presence here on earth. Thinking of you. My sympathies are with you. Hold close all the great memories. So very sorry for such a loss, was really great to have repeats to our Rebels shows for so long. VERY much enjoyed and appreciated. God bless all family and friends that knew of him. Cathy and I are so sorry for your loss. He will be missed by all who knew him. We are deeply saddened to hear of Rich’s passing. He was more than a friend. Rich and Teri are like family to us. Knowing Rich was a blessing. We will remember him for his warm heart and lasting friendship. Our thoughts and prayers go out to the family and all of his many friends who will miss him. Rest in peace, our friend. We were sorry to hear of Rich’s passing. Our hearts are with you and we are always here for you. We are thinking of you dear friend and can not thank you enough for sharing such a wonderful man with us! Melvin will be truly missed. Comforting hugs and prayers! Teri, and family we’re so very sorry to here of Rich’s passing and very surprised.He was a very special friend to Pam and I,one of the best.Thoughts and prayers to you and the rest of your family. God bless !!! My deepest condolences to you and your family. I always enjoyed visiting with you both, most of the time at the Rebels Show. May God comfort you knowing Rich has been called to Glory. Terri We are so sorry to hear of Rich’S passing and will always treasure the fun time at car shows. He was truly a genuine friend. Also will remember the parties at the shop. We are keeping you and your family in our thoughts & prayers. I am sorry to hear about your loss of Rich. Please accept my condolences. You are in my thoughts and prayers. We are deeply saddened by the loss of Richard. We will surely miss the presence of a truly loveable and kind person. Our thoughts and prayers are with you and your family during this difficult time. So sorry to hear of Rich’s passing. He will truly be missed and was always a welcoming site at car shows. Teri,and family so very sorry for your loss ,Rich was a fantastic guy he will be missed very much,prayers to all of you . Terri, we are so shocked and saddened about Rich’s passing. What a GREAT guy,always upbeat and always had a welcoming hug or handshake. He will be missed! Keeping you in our prayers. Terri and family my thoughts are with all of you at this time of loss. Treasure your memories and let them sustain you through your grief. Remind the children that they now have a special guardian angle watching over them. My thoughts and prayers are with you and Rich’s family. Teri, I have many fond car show memories and will cherish the warm friendship we shared. May God Bless and Keep Always….Until we meet again….Ride On Rich, Ride On. With our thoughts and prayers.